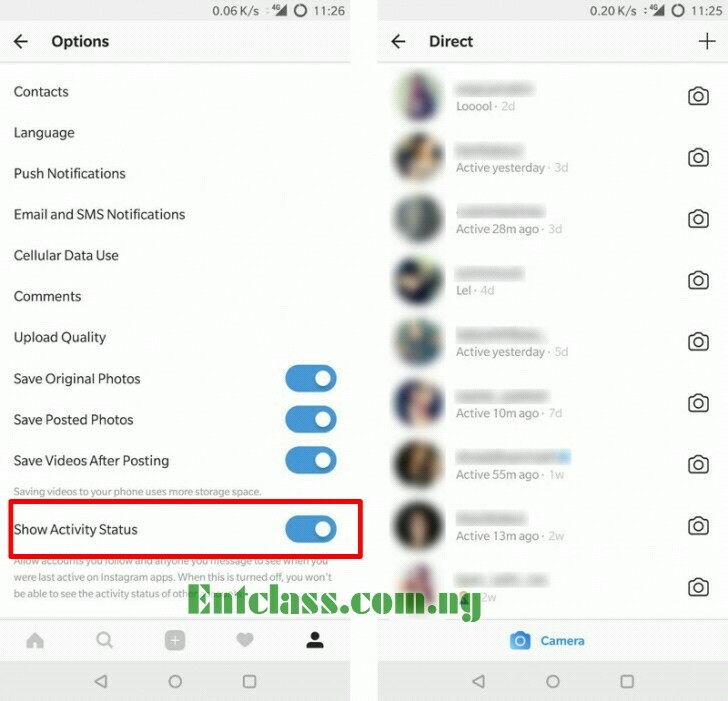 Instagram has just released a new feature called Activity Status for both the Android and iOS version of its app. Though there isn't any official statement from Instagram regarding this new feature, but it's likely rolling out gradually to all users. However, some users has confirmed that the feature is now available for them. In default, this feature has been activated which you can see when you go to the app settings. To confirm if the feature is now available for you, just slide to your DM and see the activity status of the people you have messaged below their name. This appears for people you follow or have previously messaged. 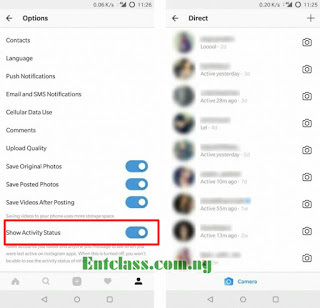 If a user is active and browsing Instagram at that particular time, you will see a label below their name "Active now". But if the user was active a certain time ago, you should see "Active a moment ago or a specific time". If you are the type that love hiding your last seen activities, then you can turn off "Show Activity Status" in app settings. When you turn off this feature, you will stop seeing status for other people and they will stop seeing it for you too. Have you seen the feature on your Instagram app yet? The update is very minor but also can be quite useful.